After finishing in a close second place each of the past two weekends, Fox's The Revenant moved into first place this weekend with $16.01 million. The Alejandro González Iñárritu directed western starring Leonardo DiCaprio was down a sizable 50 percent from last weekend, as the box office in general was slowed by Winter Storm Jonas hitting the East Coast. Today's NFL Conference Championship Games are also expected to negatively impact Sunday's grosses as well. Even with this week's slowing, The Revenant continues to impress with $119.20 million after 17 days of wide release (and an additional two weeks of platform release). The film is currently running 24.5 percent ahead of the $95.75 million 17-day gross of 2010's Shutter Island (which fell 42 percent in its third weekend to take in $13.23 million). The Revenant is likely to stabilize next weekend thanks in part to healthy word of mouth and the continued buzz around the film's 12 Academy Award nominations. Disney's Star Wars: The Force Awakens was up one spot from last weekend to claim second place with $14.08 million. The seventh chapter of the Star Wars franchise was down 47 percent from last weekend. Without adjusting for ticket price inflation, The Force Awakens claimed the tenth largest sixth weekend gross on record. The Force Awakens continues to pad its total as the highest grossing film of all-time domestically with $879.11 million through 38 days of release. That leaves the film just $20.89 million away from becoming the first ever the reach the $900 million domestic mark. Star Wars: The Force Awakens is currently running 59 percent ahead of the $551.74 million 38-day take of 2009's Avatar and 44 percent ahead of the $611.23 million 38-day gross of last year's Jurassic World. Universal's Ride Along 2 was down two spots and a sharp 65 percent from last weekend to land in third with $12.46 million. The PG-13 rated comedy sequel starring Ice Cube and Kevin Hart held up much worse in its second weekend than 2014's Ride Along, which declined 49 percent to take in $21.30 million. Clearly word of mouth isn't as strong for Ride Along 2 as it was for Ride Along, though this weekend's winter storm obviously had an effect on this weekend's hold as well. Ride Along 2 has grossed $58.61 million in ten days. While that's solid with the film's price tag in mind, it's below expectations and places the film 22 percent behind the $75.54 million ten-day start of Ride Along. As had been expected, this weekend's three new wide releases were fairly bunched together with one another. Only $785,519 separated the top opener (Dirty Grandpa) from the lowest opener (The 5th Wave). Dirty Grandpa opened in fourth place with $11.11 million. The R-rated comedy from Lionsgate starring Robert De Niro and Zac Efron performed towards the lower end of pre-release expectations. Dirty Grandpa opened 32 percent below the $16.33 million start of 2013's Last Vegas and going forward is unlikely to hold up as well as that film did. Poor critical reviews and Sunday's NFL Conference Championship Games (as well as more natural back-loading) appear to have had more of an effect on Dirty Grandpa this weekend than they did on The Boy and The 5th Wave. Dirty Grandpa opened with $4.30 million on Friday (which included an estimated $660,000 from Thursday night shows), was up 4 percent on Saturday to take in $4.47 million and decline 47.5 percent on Sunday to gross $2.35 million. That gave the film an opening weekend to Friday ratio of 2.59 to 1. Dirty Grandpa received a respectable B rating on CinemaScore, which suggests that the film is going over better with moviegoers than it has with critics. At the same time, the film's 52 percent audience score on Flixster is a concerning early sign going forward. STX Entertainment's The Boy debuted in fifth place with $10.78 million. The low-budget PG-13 rated horror film starring Lauren Cohan opened towards the lower end of expectations and was off to a solid start with its reported $10 million production budget in mind. The Boy opened 15 percent below the recent $12.74 million start of Focus' The Forest and was at a bit of a disadvantage as a result of arriving in the marketplace just two weeks after The Forest. The Boy held up well throughout the weekend, especially with its genre and the weekend weather in mind. The film opened with $3.82 million on Friday (which didn't include any Thursday night shows), increased 20 percent on Saturday to take in $4.57 million and fell 48 percent on Sunday to gross $2.39 million. That placed the film's opening weekend to Friday ratio at 2.82 to 1. The Boy received a B- rating on CinemaScore, which is respectable with the film's genre in mind, but also has a lackluster current audience score of 52 percent on Flixster. Sony's The 5th Wave was off to a sixth place start of $10.33 million. The young adult adaptation starring Chloë Grace Moretz also opened towards the lower end of expectations. The 5th Wave debuted 34 percent below the $15.68 million start of 2014's If I Stay. The 5th Wave started with $3.49 million on Friday (which included an estimated $475,000 from Thursday night shows), was up a healthy 25 percent on Saturday to take in $4.36 million and fell 43 percent on Sunday to gross $2.48 million. That placed the film's opening weekend to Friday ratio at 2.96 to 1. The 5th Wave received a modest B- rating on CinemaScore and currently has a soft audience score of 51 percent on Flixster. It should be noted that the film is performing stronger overseas than it is domestically. Meanwhile, 13 Hours: The Secret Soldiers of Benghazi followed in seventh place with $9.03 million. The Michael Bay directed action thriller from Paramount was down a respectable 44 percent from last weekend, which represented one of the weekend's better holds among wide releases. 13 Hours was helped out this weekend by healthy word of mouth and by expanding into 528 additional locations (which included an expansion into Canada). 13 Hours has grossed $32.76 million in ten days. That is a bit below expectations and places the film 27 percent behind the $45.11 million ten-day take of 2012's Act of Valor (which fell 44.5 percent in its second weekend to gross $13.57 million). 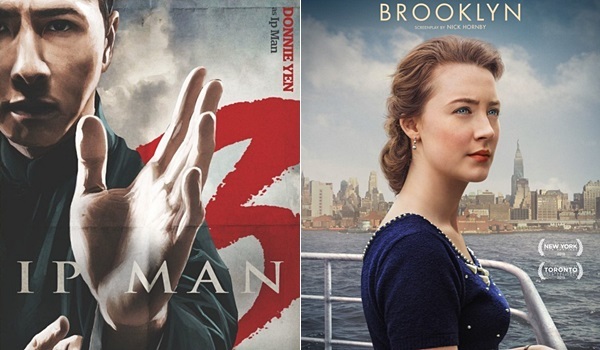 Well Go USA's Ip Man 3 was off to an impressive start this weekend with an estimated $762,400 from 103 locations. That gave the third installment of the Donnie Yen led martial arts series a healthy per-location average of $7,402 for the frame. It should also be noted that the film's performance on Saturday was affected by Winter Storm Jonas on the East Coast. Ip Man 3 has already easily out-grossed the $205,675 total North America gross of 2011's Ip Man 2: Legend of the Grandmaster. Ip Man 2 opened with $61,057 from 20 locations (for a per-location average of $3,053). Ip Man 3 has received good critical reviews, as it currently boasts an 83 percent Tomatometer on Rotten Tomatoes. Well Go USA will be expanding the film into additional markets next weekend. Fox Searchlight's Brooklyn took in an estimated $1.68 million from 962 locations, for a per-location average of $1,741. The John Crowley directed Best Picture nominee starring Saoirse Ronan was down a slim 7 percent from last weekend upon expanding into an additional 275 locations this weekend. The 80-day total gross for Brooklyn stands at $27.54 million. Fellow Best Picture nominee Room performed similarly with an estimated $1.43 million from 884 locations, for a per-location average of $1,612. Upon expanding into an additional 591 locations, A24's Room was up a strong 88 percent over last weekend's performance. The Lenny Abrahamson directed film starring Brie Larson has grossed $7.95 million in 101 days and should continue to benefit from its four Academy Award nominations going forward. Open Road's Spotlight grossed an estimated $1.38 million from 1,030 locations. That represented a 17 percent decline from the previous frame (when the film was playing in 45 fewer locations) and gave Spotlight a per-location average of $1,337. The Tom McCarthy directed Best Picture nominee starring Michael Keaton and Mark Ruffalo has grossed $33.01 million in 80 days. Upon expanding into 26 new locations this weekend, 45 Years took in an estimated $220,000 from 40 locations. The critically acclaimed drama from IFC Films' Sundance Selects division, starring Charlotte Rampling and Tom Courtenay was up 129 percent over last weekend. 45 Years had a per-location average of $5,500 for the frame, which was solid, especially with this weekend's weather on the East Coast in mind. 45 Years has grossed $740,409 in 33 days and will receive a significant expansion next weekend. Sony Pictures Classics' The Lady in the Van took in an estimated $187,026 from 30 locations, for a solid per-location average of $6,234. The critically acclaimed Nicholas Hytner directed film starring Maggie Smith was up a strong 204 percent upon expanding into 26 new locations this weekend. The Lady in the Van has grossed $329,455 after ten days of release (and an additional one-week Oscar qualifying run back in early December). Paramount's Anomalisa took in an estimated $375,000 from 143 locations, for a per-location average of $2,622. The stop motion animated film directed by Charlie Kaufman and Duke Johnson didn't maintain momentum all that well this weekend, as it was up a modest 23 percent upon expanding into an additional 106 locations. The 26-day platform total for Anomalisa stands at $1.41 million. The Weinstein Company's Carol and Focus' The Danish Girl took in respective estimated weekend grosses of $639,000 and $531,000. Carol was down a troubling 56 percent from last weekend upon losing 98 locations, while The Danish Girl fell 26 percent upon adding 315 new locations. Respective total grosses stand at $10.57 million for Carol in 66 days and at $9.72 million for The Danish Girl in 59 days. Both films have clearly lost significant momentum as a result of not receiving Best Picture nominations. Sunday Update: After finishing in a close second place each of the past two weekends, Fox's The Revenant moved into first place this weekend with an estimated $16.0 million. The Alejandro González Iñárritu directed western starring Leonardo DiCaprio was down a sizable 50 percent from last weekend, as the box office in general was slowed by Winter Storm Jonas hitting the East Coast. Today's NFL Conference Championship Games are also expected to negatively impact Sunday's grosses as well. Even with this week's slowing, The Revenant continues to impress with $119.19 million after 17 days of wide release (and an additional two weeks of platform release). The film is currently running 24.5 percent ahead of the $95.75 million 17-day gross of 2010's Shutter Island (which fell 42 percent in its third weekend to take in $13.23 million). The Revenant is likely to stabilize next weekend thanks in part to healthy word of mouth and the continued buzz around the film's 12 Academy Award nominations. Disney's Star Wars: The Force Awakens was up one spot from last weekend to claim second place with an estimated $14.26 million. The seventh chapter of the Star Wars franchise was down a respectable 46 percent from last weekend. Without adjusting for ticket price inflation, The Force Awakens claimed the eighth largest sixth weekend gross on record. The Force Awakens continues to pad its total as the highest grossing film of all-time domestically with $879.29 million through 38 days of release. That leaves the film just $20.71 million away from becoming the first ever the reach the $900 million domestic mark. Star Wars: The Force Awakens is currently running 59 percent ahead of the $551.74 million 38-day take of 2009's Avatar and 44 percent ahead of the $611.23 million 38-day gross of last year's Jurassic World. Universal's Ride Along 2 was down two spots and a sharp 63 percent from last weekend to land in third with an estimated $12.96 million. The PG-13 rated comedy sequel starring Ice Cube and Kevin Hart held up much worse in its second weekend than 2014's Ride Along, which declined 49 percent to take in $21.30 million. Clearly word of mouth isn't as strong for Ride Along 2 as it was for Ride Along, though this weekend's winter storm obviously had an effect on this weekend's hold as well. Ride Along 2 has grossed $59.11 million in ten days. While that's solid with the film's price tag in mind, it's below expectations and places the film 22 percent behind the $75.54 million ten-day start of Ride Along. As had been expected, this weekend's three new wide releases were fairly bunched together with one another. With estimates for the three films being separated by just $825,000, it's possible that final rankings for the three could change when tomorrow's weekend actuals are released. Dirty Grandpa opened in fourth place with an estimated $11.53 million. The R-rated comedy from Lionsgate starring Robert De Niro and Zac Efron performed towards the lower end of pre-release expectations. Dirty Grandpa opened 29 percent below the $16.33 million start of 2013's Last Vegas and going forward is unlikely to hold up as well as that film did. Poor critical reviews and Sunday's NFL Conference Championship Games (as well as more natural back-loading) appear to have had more of an effect on Dirty Grandpa this weekend than they did on The Boy and The 5th Wave. Dirty Grandpa opened with $4.25 million on Friday (which included an estimated $660,000 from Thursday night shows), was up 8 percent on Saturday to take in $4.58 million and is estimated to decline 41 percent on Sunday to gross $2.70 million. That gives the film an estimated opening weekend to Friday ratio of 2.71 to 1. Dirty Grandpa received a respectable B rating on CinemaScore, which suggests that the film is going over better with moviegoers than it has with critics. At the same time, the film's 51 percent audience score on Flixster is a concerning early sign going forward. STX Entertainment's The Boy debuted in fifth place with an estimated $11.26 million. The low-budget PG-13 rated horror film starring Lauren Cohan opened in line with expectations and was off to a solid start with its reported $10 million production budget in mind. The Boy opened 12 percent below the recent $12.74 million start of Focus' The Forest and was at a bit of a disadvantage as a result of arriving in the marketplace just two weeks after The Forest. The Boy held up well throughout the weekend, especially with its genre and the weekend weather in mind. The film opened with $3.90 million on Friday (which didn't include any Thursday night shows), increased 18 percent on Saturday to take in $4.60 million and is estimated to fall 40 percent on Sunday to gross $2.76 million. That places the film's estimated opening weekend to Friday ratio at 2.89 to 1. The Boy received a B- rating on CinemaScore, which is respectable with the film's genre in mind, but also has a lackluster current audience score of 53 percent on Flixster. Sony's The 5th Wave was off to an estimated sixth place start of $10.70 million. The young adult adaptation starring Chloë Grace Moretz opened in line with expectations. The 5th Wave debuted 32 percent below the $15.68 million start of 2014's If I Stay. The 5th Wave started with $3.50 million on Friday (which included an estimated $475,000 from Thursday night shows), was up a healthy 29 percent on Saturday to take in $4.53 million and is estimated to fall 41 percent on Sunday to gross $2.67 million. That places the film's estimated opening weekend to Friday ratio at 3.06 to 1. The 5th Wave received a modest B- rating on CinemaScore and currently has a soft audience score of 51 percent on Flixster. It should be noted that the film is performing stronger overseas than it is domestically. Meanwhile, 13 Hours: The Secret Soldiers of Benghazi followed closely behind in seventh place with an estimated $9.75 million. The Michael Bay directed action thriller from Paramount was down a solid 40 percent from last weekend, which represented one of the weekend's better holds among wide releases. 13 Hours was helped out this weekend by healthy word of mouth and by expanding into 528 additional locations (which included an expansion into Canada). 13 Hours has grossed $33.48 million in ten days. That is a bit below expectations and places the film 26 percent behind the $45.11 million ten-day take of 2012's Act of Valor (which fell 44.5 percent in its second weekend to gross $13.57 million). Saturday Update: Please note that projected weekend estimates will be affected by the major winter storm hitting the east coast this weekend, as well as Sunday's NFL playoffs. Updated estimates from the studios will be reported on Sunday. Fox reports this morning that The Revenant claimed first place again on Friday with an estimated $4.55 million, off 51 percent from the same day last week. That brings the 12-time Oscar nominated film up to $107.7 million domestically as it continues to enjoy strong momentum and healthy word of mouth. BoxOffice projects a weekend finish around $16.2 million in first place. Dirty Grandpa bowed in second place on opening day with an estimated $4.2 million, including Thursday night grosses. That slightly bests the January 2014 $3.95 million first day take of fellow Zac Efron-led That Awkward Moment by around 6 percent. With mixed word of mouth (52 percent on Flixster) and sour reviews (7 percent on Rotten Tomatoes), long-term prospects unfortunately don't look positive. BoxOffice projects an $11.6 million opening weekend. The Boy posted a solid debut on Friday with $3.9 million in third place, all of which came from "Friday proper" since STX did not screen the film on Thursday night. While critics (25 percent) haven't taken to the horror pic, audiences are a bit more positive about it with a modest 60 percent score as of this morning. Projections are particularly tricky for this title given the circumstances, but it should land around $10 million for the opening weekend. Ride Along 2 claimed $3.7 million in fourth place yesterday, down 69 percent from opening day last week. With $49.85 million in the bank so far, the film continues to lose pace off its predecessor but will ultimately still prove a financial success for Universal. 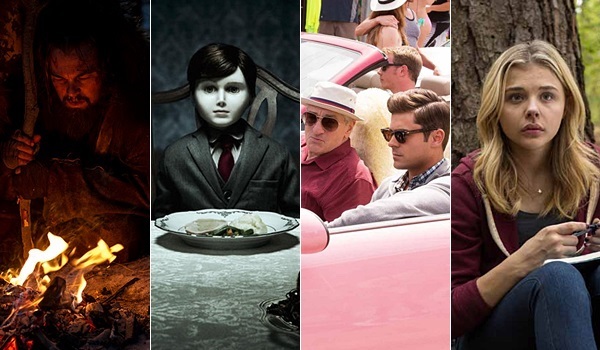 BoxOffice projects a $12.3 million sophomore weekend. Star Wars: The Force Awakens temporarily moved down to fifth place on Friday with $3.52 million, bringing its all-time domestic record haul up to $868.55 million. BoxOffice projects a $14.3 million weekend overall, which should score the blockbuster phenom a second place finish this weekend (up from third last weekend). Debuting in sixth place on Friday, The 5th Wave mustered just $3.5 million (including Thursday earnings). Unfortunately, that falls significantly shy (about 49 percent) of Chloe Moretz's previous young adult adaptation, If I Stay, which pulled $6.83 million on opening day in August 2014. Marketing had been underwhelming, and the young adult phase has been trending downward over the past year, so this opening isn't entirely surprising. Still, with weak reviews (19 percent) and word of mouth (49 percent), we don't expect much in the way of legs. BoxOffice is projecting an $8.9 million opening weekend. Sony does note, however, that the pic is projected to sit close to $35 million worldwide by the end of Sunday with another 30 percent of its territories left to open. The production budget for the movie was a reasonable $38 million. Friday Update: Sources report that Dirty Grandpa bowed to an estimated $660,000 from over 2,000 locations on Thursday night. That compares very favorably to fellow Zac Efron-led comedy That Awkward Moment's mere $250,000 Thursday night launch two years ago this month, as well as the $250,000 debut of Unfinished Business last March. The film, co-starring Robert de Niro, could find an opening weekend in the low-to-mid teen millions, although outside factors this weekend could prevent that (detailed below). The 5th Wave also launched last night in a reported 2,297 theaters to the tune of $475,000. Unfortunately, that falls well short of If I Stay's $1.1 million Thursday night opening in late August 2014, as well as the $1.1 million start of the original Maze Runner in September of that same year. The Boy did not receive any Thursday night screenings. Of note this weekend is the fact that a major winter storm is currently making its way across the east coast and could affect major metropolitan areas depending on where exactly it lands. This is likely to have some small effect on the box office, as will this weekend's NFL championship games. As a result, grosses for the openers (and possibly some holdovers) are likely to come in below pre-weekend expectations. 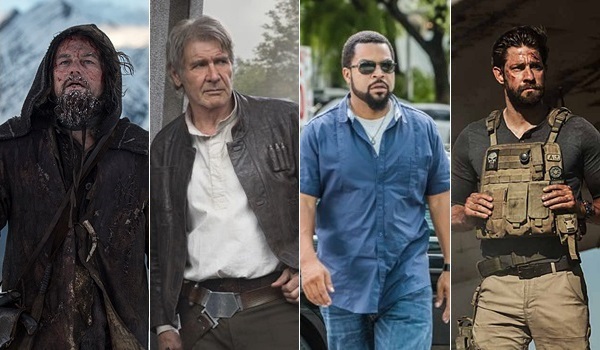 The Revenant, Star Wars: The Force Awakens, and Ride Along 2 are likely to repeat as the top three films. Early weekend estimates based on official Friday estimates from the studios will be posted on Saturday morning. The Revenant climbed over the $100 million mark overseas following a $33.8 million weekend from 48 markets. Mexico led a slew of openers with a $5.3 million haul from 2,033 screens. Holds made up the lion's share of the weekend gross, led by UK's $5.9 million second weekend ($17.9M cume). The Oscar contender has grossed $223.6 million globally. Star Wars: The Force Awakens surpassed Jurassic World as the #4 film of all time overseas earlier this week. The blockbuster added another $23.3 million to its overseas tally this weekend. Leading markets include the UK ($173.3M), China ($112.7M), Germany ($103.5M), France ($85M), and Japan ($80M). The film's overseas total stands at $1.06 billion and is currently the #3 movie of all time globally with $1.94 billion. The Big Short opened in fifth place in the UK with $2 million from 409 locations, the biggest debut in a weekend that welcomed 13 new markets into the mix. South Korea placed third with a $1.2 million bow from 290 cinemas, Spain also finished at #3 thanks to a $1.1 million opening at 325 locations. 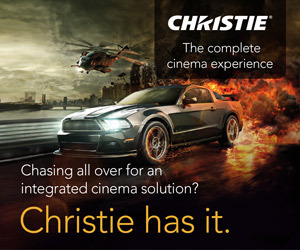 Other top premiere include a $515k bow at 47 locations in Venezuela and a $439k start in Russia. Australia led hold-overs with $819k from 197 locations in its second weekend to reach a $2.6 million cume. Other top holds include Italy ($603K on the third weekend at 204 sites) and Germany ($544K on the second weekend from 260 cinemas). The Big Short finished the weekend with a total of $10.1 million from 51 markets. The film has grossed $30.7 million outside of North America and $87.4 million worldwide. Creed is hitting its stride overseas, adding $9 million from 37 markets in its latest frame outside of North America. The film kept the top spot in France with a $2.7 million haul in its second weekend ($7.2M cume). Creed's overseas total is now up to $41.9 million, the film has already hit $150 million worldwide. Spain and Mexico are scheduled to open next weekend. The Walk reached its final two markets, China and Japan, adding $6.7 million from a total of 10,700 from a total of four remaining markets. The film took the #3 spot in China with $6.1 million but struggled to get off the ground in Japan, where it managed a $575k take from 283 screens. The Walk has grossed $51.6 million globally. Ride Along 2 opened at #2 in the UK with $3.1 million from 418 dates, a 52% improvement over its predecessor. A #4 debut in Germany brought in $1.3 million from 382 dates, 63% ahead of the original. The buddy cop comedy finished the weekend with $6.5 million from 19 territories and an early overseas cume of $10.4 million. The film has grossed $69.5 million globally with key markets set to open through the end of March. Daddy's Home made $5.9 million from 46 markets in a weekend that saw 7 new openings for the comedy. Germany was the top opener with $712k at 294 locations, UK led hold-overs with $1.4 million from 472 locations and a $22.9 million cume. The film has now grossed $59.3 million overseas and $198 million worldwide. Alvin and the Chipmunks: The Road Chip brought in $5.8 million over the weekend. The film opened at #1 in Spain, grossing $1.3 million from 335 screens in its debut. Alvin and co. have now reached a $54.4 million cume overseas and $136.8 million global gross. The Danish Girl expanded to 8 territories this weekend, finishing the frame with a $4.4 million haul from a total of 22 territories. Australia opened with $584k at 124 dates, France enjoyed a #5 debut with $661k at 268 dates, and Belgium grossed $93k at 34 dates. Spain held well in its second weekend with an $892k haul and a 10-day market cume of $2.5 million. The Danish Girl has grossed a total of $19.4 million overseas with 36 territories left on the schedule. The film has grossed $29.1 million globally. The Peanuts Movie added $4.3 million from 32 markets over the weekend. The film posted a strong second weekend in Brazil, ranking at #2 with $1.4 million from 764 screens ($5.1M cume). Snoopy and friends have now grossed $108.6 million outside of North America and $238.3 million worldwide. Joy reached a $36.1 million overseas cume after adding $3.1 million from 50 markets over the weekend. Brazil led the openers with $493k from 227 screens, followed by Russia's $286k debut from 522 screens. Joy has grossed $90.3 million globally. Sisters brought in $1.2 million from 22 territories over the weekend, reaching a $13.7 million overseas cume. Australia reached an 18-day total of $6.5 million after adding $970l at 254 dates over its third frame. Brazil opened to $26k from a limited release at 40 dates, Colombia contributed $33k from 25 dates. Sisters has grossed $98.6 million worldwide with 25 more territories left on its schedule. Fox's The Revenant took in $2.13 million on Thursday to remain in first place at the daily box office. The Alejandro González Iñárritu directed western starring Leonardo DiCaprio was down 4 percent from Wednesday and down a sizable 47 percent from last Thursday. 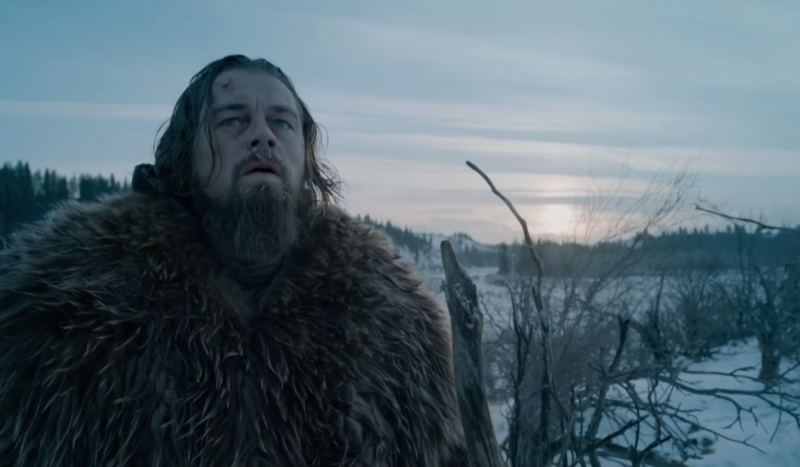 The Revenant placed in a close second for the week with $45.02 million. The film was down just 20.5 percent from the previous week and has grossed a stronger than expected $103.19 million in two weeks of wide release (and two additional weeks of platform release). The Revenant is currently running an impressive 25 percent ahead of the $82.52 million two-week take of 2010's Shutter Island. Disney's Star Wars: The Force Awakens followed closely behind in second with $1.88 million. The seventh chapter of the Star Wars franchise was up 4 percent over Wednesday and down a solid 40 percent from last Thursday. The Force Awakens continues to pad its total as the highest grossing film of all-time domestically with $865.03 million through five weeks of release. For the week, Star Wars: The Force Awakens took third place with $39.10 million. That represented a 30 percent decline from the previous week. Universal's Ride Along 2 held steady in third place with $1.41 million. The PG-13 rated comedy sequel starring Ice Cube and Kevin Hart declined 4 percent from Wednesday's performance. In comparison, 2014's Ride Along fell 1.5 percent on its first Thursday to gross $1.74 million. Ride Along 2 was the week's top film with a seven-day start of $46.15 million. That was towards the lower end of pre-release expectations and places the film 15 percent behind the $54.25 million seven-day start of Ride Along. 13 Hours: The Secret Soldiers of Benghazi followed closely behind in fourth with $1.29 million. The Michael Bay directed action thriller from Paramount fell 6 percent from Wednesday. While 13 Hours held up well throughout the midweek, the film's seven-day start of $23.73 million is still a bit below expectations. 13 Hours took fourth place for the week and is currently running 25 percent behind the $31.54 million first week take of 2012's Act of Valor.